CHANDIGARH, August 27: Punjab Pradesh Congress Committee president Capt Amarinder Singh today asked Delhi Chief Minister Arvind Kejriwal to come clean on the serious allegations leveled against him by the party leader Sucha Singh Chhotepur that he scornfully denigrated Sikh religion and even asked him (Chhotepur) as how did it matter if he was excommunicated by the Akal Takhat. Capt Amarinder also sought a probe by the government of India into the alleged CIA funding of the NGO, Parivartan that Kejriwal ran, while in service, along with Manish Sisodia, who is now his Deputy Chief Minister in Delhi. The PCC president reminded Kejriwal that quite contrary to the high moral ground he was taking today, he was forced to repay Rs 9.2 lakhs by his income tax department, which he had cheated it off. “Didn’t you repay this money under pressure after eight years, during the peak of the Anna movement just to show yourself to be clean as you claimed to be leading an anti-corruption movement while you had cheated your department of Rs 9.2 lakhs?” he asked Kejriwal. He questioned Kejriwal’s double standards by pointing out, while he did not even react to the revelations made by the AAP National Council member Pavitar Singh that Sanjay Singh and Durgesh Pathak demanded Rs 50 lakhs from him to allot Phillaur assembly ticket to his wife, he took no time to malign Chhotepur just because he had accepted donation from a party volunteer. “Why not apply same yardstick on Sanjay Singh and Durgesh Pathak who have been accused on record by one of your own founding members of seeking bribe?” he asked Kejriwal, while adding, “or is it simply because you apply one set of rules on the Punjabi leaders and another on non-Punjabis like Singh and Pathak as also they are earning money for you”. 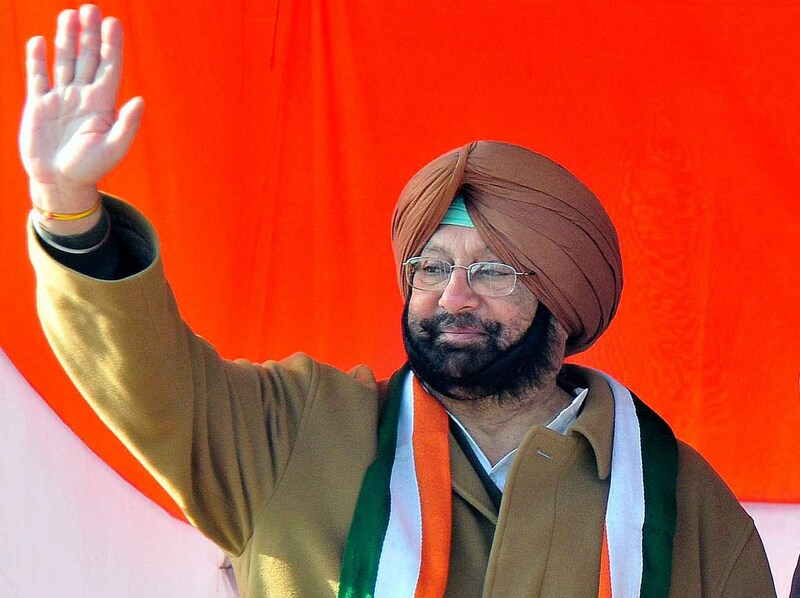 The former Chief Minister said, he had conclusive evidence that the non-Punjabi leaders like Singh and Pathak were using scornful and derogatory language against the Sikh leaders and even making fun of their religious symbols, like saying that the Sikhs have their brains in their beards. Besides, he added, Kejriwal has also been heard poking fun at the Punjabi and Sikh leaders and there was grave resentment among the local cadres. He said, he will release the evidence in due course of time. Capt Amarinder alleged that Parivartan, the NGO Kejriwal ran while being a member of the Indian Revenue Service, along with Sisodia was funded by the Ford Foundation, which in turn was supported by the CIA. He said the probe must establish as how he could run an NGO while in government service and that too, whose funding was very suspicious as CIA is not known to do any charity. “Besides, the way you tried to destablise the governments by resorting to unwarranted protests and dharnas, even while being the Chief Minister yourself only vindicate and validate the widespread perception and the purpose for which you took money from the Ford Foundation”, he told the AAP convener. He asked Kejriwal to explain as how he managed to serve and spend his entire career of over two decades in Income Tax department in Delhi only as normally income tax officials are transferred all across the country.